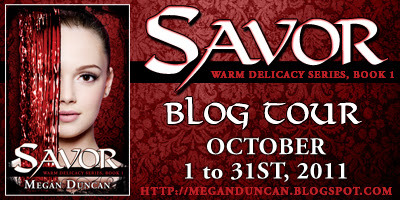 Hi everyone and welcome to my stop on the Savor blog tour for the YA author Megan Duncan. Today I will be sharing my book review for this outstanding book. 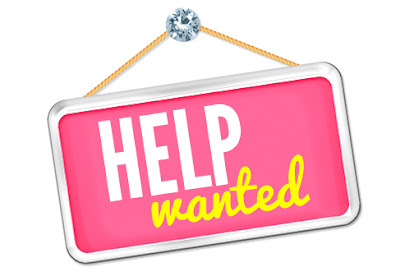 Also after my review there will be a huge giveaway with some great prizes offered by Megan to my readers. So after you read my review be sure to enter this awesome giveaway. to come to there home and will make her a offer that she will not be able to refuse. Yes, Megan Duncan has done it again! Savor is a sensational read! This book will so not disappoint the reader but will leave you hugging the book once you are done wanting more. I so enjoyed Claire's character as well as all of the others, well not all. I did not like Ana one bit - She was always a royal pain in the a**. Other than that each character throughout the book was very entertaining to read about. The story held my attention throughout the book with little or no gaps of being slow or dull. Savor was well written and I could perfectly imagine the story in my head as it played out. Although I believe Vampires book are now coming out at a overwhelming amount per year. I found Savor to have a fresh and unique story-line that was very enjoyable. A very fun, fast read and I loved the ending!! I cannot wait to find out what happens next. I would very much recommend the book to YA-Adults - And to anyone who loves Vampires, Romance, and a page-turning Paranormal Work of Art - SAVOR!!! I hope everyone enjoyed my review for Savor and loved to learn more about the book. So Here is the fun part - The Giveaway! =D Megan will be giving away three great prizes to THREE lucky winners here on my blog: The first winner will win a signed paperback copy of Savor. Winner number two will win a free Kindle version, or if you don't have a kindle, an eBook copy. 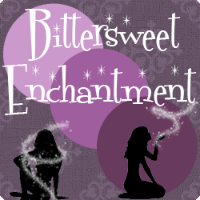 And the third winner will win two bookmarks: one bookmark for Savor, and one for the author's other release, Released. 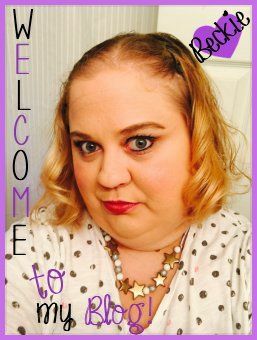 It's great to see you host a giveaway Beckie! Thanks for the wonderful review! You rock! Happy Halloween!!!! 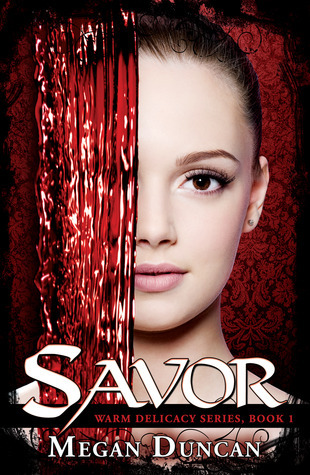 Savor has very interesting story and very beautiful cover. I loved your review and Thank you for the giveaway! I love the cover!! It's beautiful, and the book sounds great!